Can You Write Off Life Insurance Payments? Life insurance premiums are rarely deductible from taxes. 1. Are Life Insurance Death Benefits Taxed? 2. Do Insurance Payouts Have to Be Counted as Income? 3. Do Employees Need to Pay Taxes on Health Insurance Premium Reimbursements? As a general rule, life insurance premiums, whether owned by individuals or corporations, are not deductible from income taxes. Since accumulations of cash values and the death benefit payouts are not taxable, you will not be able to write off your premiums from taxes. As with most taxation issues however, the rules are not that black and white and there are a few exceptions. If following a separation or divorce you receive a court order to pay life insurance premiums on your former spouse's policy, or a policy that would benefit your spouse upon your death, those premiums can be written off as alimony expense. The premiums must be payable as a result of a court order only, and your former spouse must include the premiums as taxable income on her return. Generally, corporations are allowed to write off certain life insurance premiums in specific situations. One such deduction allowed is life insurance premiums paid by your employer to cover officers and employees, where you are not a direct or indirect beneficiary under the life insurance contract. Those premiums would be treated as a taxable benefit to those officers and employees, but the death benefit would remain tax-free. If you are self-employed you may be allowed to deduct premiums paid for long-term care contracts on yourself, your spouse and dependents. The plan must be established under your business but can be in the name of either your business or the individual who is insured. You can write off the entire premium for the long-term care contract provided it does not exceed the following: $340 for ages 40 or under; $640 for ages 41-50; $1,270 for ages 51-60; $3,390 for ages 61-70; and $4,240 for ages 71 and over. A long-term care contract is deemed qualified if it meets certain criteria spelled out by the IRS, such as: It must be guaranteed renewable; any refunds provided can be applied only to reduce future premiums or increase future benefits; it must not provide any cash surrender value or any other money that can be used as assignment or loan collateral; and it must generally not reimburse expenses that would otherwise be paid by Medicare. Some countries, Canada for example, allow for the partial deduction as a business expense of life insurance premiums paid on a policy to secure a business loan. Such is not the case in the United States. Premiums for other types of insurance such as health and dental may be deductible. 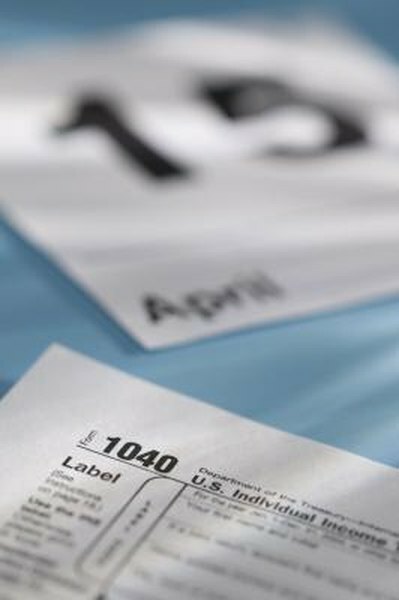 For further information, consult a qualified tax accountant or the IRS website. Philippe Lanctot started writing for business trade publications in 1990. He has contributed copy for the "Canadian Insurance Journal" and has been the co-author of text for life insurance company marketing guides. He holds a Bachelor of Science in mathematics from the University of Montreal with a minor in English. Are Benefit Payments on Life Insurance Policies Taxable? Are Life Insurance Death Benefits Taxable Income? Do You Have to Claim Life Insurance Cash Disbursement on Taxes? Do Insurance Settlement Payouts Due to Injuries Get Taxed by the Federal Government as Income?